PHIVOLCS staff dispelled concerns that Parker might erupt after a M 7.5 earthquake (according to the US Geological Survey NEIC) occurred near the volcano on 6 March at 0516. According to news articles, tremor caused a portion of the volcano's crater wall to breach and fall into Lake Maughan atop the volcano. Articles also stated that tons of water that were released from the lake washed away houses and about 33 families were evacuated from river banks below Lake Maughan due to fears that more of the lake would overflow. Government agencies plan to conduct an aerial inspection to assess the lake's water level. 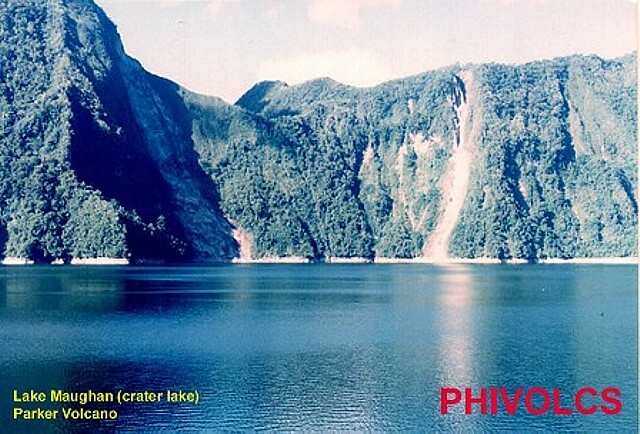 The overflow of Maughan Lake, the crater lake at Parker volcano, followed heavy rains associated with a passing typhoon and caused flashflooding in NW-flank communities on 6 September. A team from the Philippine Institute of Volcanology and Seismology (PHIVOLCS) was dispatched to determine whether the overflow was caused by volcanic activity. Although no volcanic alert was declared, PHIVOLCS recommended that the crater area should be considered off-limits because of instability of the crater walls. Fieldwork on 8-9 September revealed that the flood was channel-confined along the NW-flank Alah River, which drains the crater lake, from 1,000 m down to 540 m elevation (Barangay New Dumangas, T'boli, South Cotabato Province). Below this point it was transformed into a sheetwash. The floods killed more than 60 people, destroyed 300 homes and nine bridges, and displaced 50,000 people. Aerial observations on 11 September indicated that two or three landslides, indicated by escarpments, had occurred along the Alah River prior to the crater lake outbreak. The total mass displaced appears to have been sufficient to have dammed the upper reaches of the river. 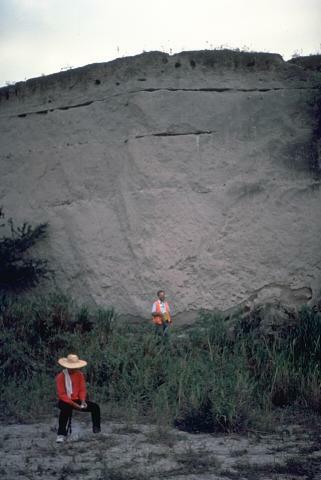 The crater wall was well-vegetated and without landslide scars, although underwater landslides may have contributed to the rise and subsequent overflow of the lake. The overflow breached the blocked river channel, sending an estimated ~10-15 x 106 m3 of lake water down the river, lowering the lake by 1 m. No turbidity or color change was observed in the crater lake, indicating that there had been no volcanic explosion. On 9-10 September PHIVOLCS installed seismometers in T'boli, 12 km NW of the crater at 540 m elevation, and at Tobolok, ~4 km NW of the crater at 1,300 m elevation. No volcanic seismic events were recorded through 11 September. Information Contacts: Ernesto G. Corpuz, Philippine Institute of Volcanology and Seismology (PHIVOLCS), 5th & 6th Floors Hizon Building, 29 Quezon Avenue, Quezon City, Philippines; United Press International. Parker volcano, also known locally as Falen, is a low, vegetated stratovolcano overlooking Sarangani Bay near the southern tip of Mindanao Island. The steep-sided, 1824-m-high andesitic-dacitic stratovolcano is surrounded by extensive, youthful pyroclastic-flow deposits that suggest parallels to Pinatubo volcano. The summit of Parker is truncated by a 2.9-km-wide caldera with steep-sided walls that rise 200-500 m above heart-shaped Maughan Lake. This volcano was unknown to most volcanologists until recent years, but it is now known to have been the source of a major explosive eruption in 1641 that was previously attributed to Awu volcano on Sangihe Island, Indonesia and caused darkness over the island of Mindanao. The 1641 eruption included the emplacement of voluminous pyroclastic flows and lahars and resulted in the formation of the summit caldera. This was the last of three major explosive eruptions from Parker during the last 3800 years. Delfin F G Jr, Newhall C G, Martinez M L, Salonga N D, Bayon F E B, Trimble D, Solidum R, 1997. Geological, 14C, and historical evidence for a 17th century eruption of Parker volcano, Mindanao, Philippines. J Geol Soc Philippines, 52: 25-42. Newhall C G, 2004. (pers. comm.). There is no Deformation History data available for Parker. There is no Emissions History data available for Parker. 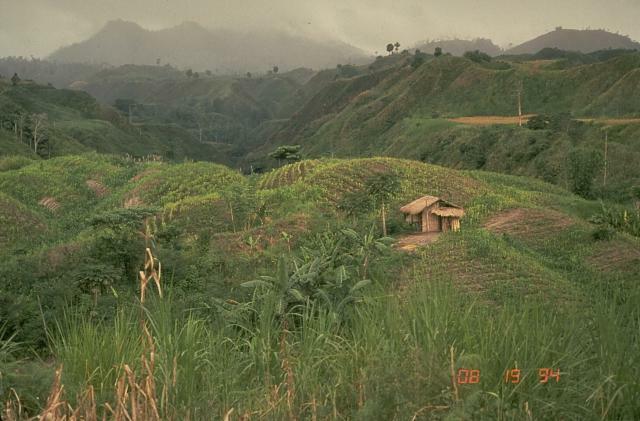 The low, vegetated Parker volcano, at the south end of Mindanao Island in the Philippines, was unknown to most volcanologists until recent years. Reconnaissance studies of the volcano, seen here from the east, revealed resemblances to Pinatubo volcano, which also produced thick deposits of pyroclastic flows around its flanks. Parker is now thought to be the source of a major eruption in 1641 that plunged much of Mindanao into darkness. This eruption was previously thought to originate from Awu volcano in the northern Indonesian archipelago. Geologists investigate a thick pyroclastic-flow deposit on the ENE side of Parker volcano in southern Mindanao. Preliminary investigation of the eruptive deposits of this volcano, unknown to most volcanologists until recently, revealed many similarities to those of Pinatubo volcano. The flanks of both volcanoes are blanketed with thick pyroclastic-flow deposits produced by powerful explosive eruptions. Photo courtesy Chris Newhall (U.S. Geological Survey). Lake Maughan occupies the steep-sided walls of the 2.9-km-wide summit caldera of Parker volcano, also known locally as Falen. This low, vegetated stratovolcano overlooks Sarangani Bay near the southern tip of Mindanao Island and is surrounded by extensive, youthful pyroclastic-flow deposits. This volcano was unknown to most volcanologists until recent years, but it is now known to have been the source of a major explosive eruption in 1641. There are no samples for Parker in the Smithsonian's NMNH Department of Mineral Sciences Rock and Ore collection. Large Eruptions of Parker Information about large Quaternary eruptions (VEI >= 4) is cataloged in the Large Magnitude Explosive Volcanic Eruptions (LaMEVE) database of the Volcano Global Risk Identification and Analysis Project (VOGRIPA).